【Newest 4K 50m HDMI Extender】This HDMI extender supports fully HDMI 1.4 specification compliant, support up to [email protected] resolution, 12bit per channel deep color, HDCP1.4 version, display premium Ultra HD 3D 4K picture quality and keep HD picture no distortion. 【Up to 164ft/50m Transmission】Perfect compatibility made signal transmission distance up to 164ft/50m at [email protected] and 260ft/80m at [email protected] over single cat5e/6 cable,without loss. 【Excellent Durability】Plug and play;Support EDID copy;High quality metal housing design with integrated cooling holes offer efficient heat dissipation ensuring the system stability during long hours of operation. 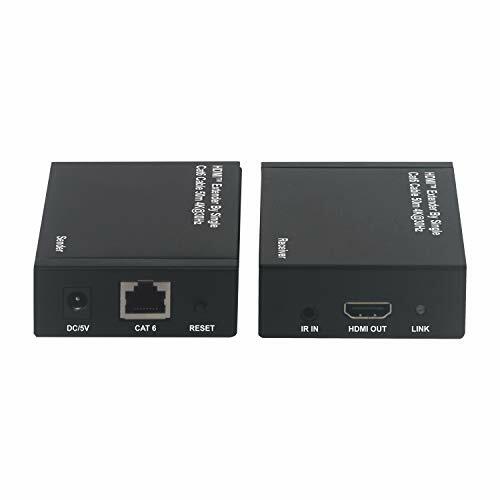 Portta 4K HDMI Extender is based on HDbase-T technology.It can transmit HDMI signal up to 50 meters(164ft)away by connecting a single Cat6/7 Lan cable which can reduce the cost of buying long hdmi cable. 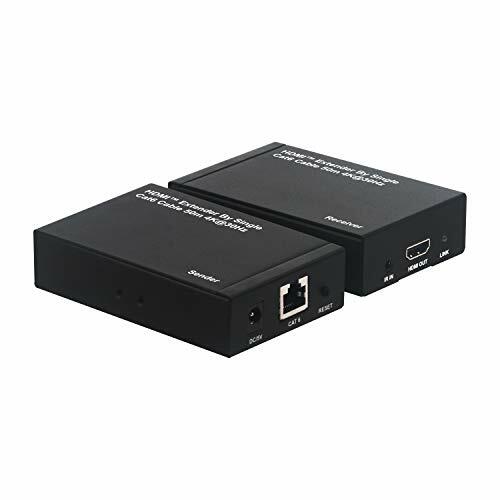 With support for high-definition resolutions of up to [email protected] and the accompanying digital audio, this cost-effective UHD extender can easily be installed by using new or existing Ethernet infrastructure wiring. The extender kit includes both the local transmitter and remote receiver units, ideal for point-to-point digital signage applications that require high quality HDMITM video. It also works to extend IR signals from remote controls of the video source, perfect for controlling your video source from your video destination. Both of the receiver and sender has independent power, to avoid signal loss during data transmission, thus not affecting the quality of the audio and video output. 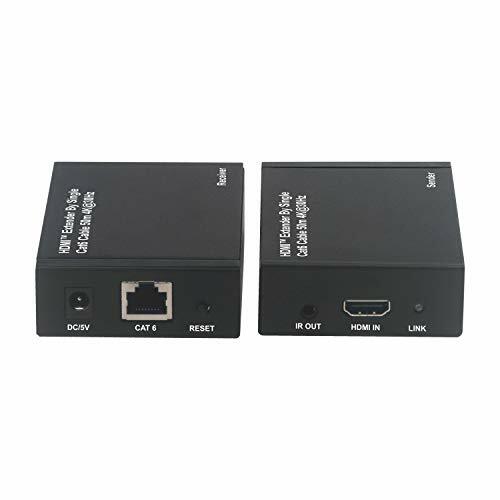 The receiver and sender of this HDMI Extender are enclose alloy shell, can shield the interference, lightning, waterproof and dustproof, extend the life of the product. It can be applied to a variety of occasions: Video-Conferences, Multimedia Teaching, Home Theater, Command And Control Center, Etc. 【20-60KHZ wide frequency IR Control Extension】IR return control features allow you control a DVD player or other HDMI source devices from a remote location with the included wide frequency IR cables.